Harrison? Retire? The Heck You Say | "IT'S A STEELERS WORLD"! 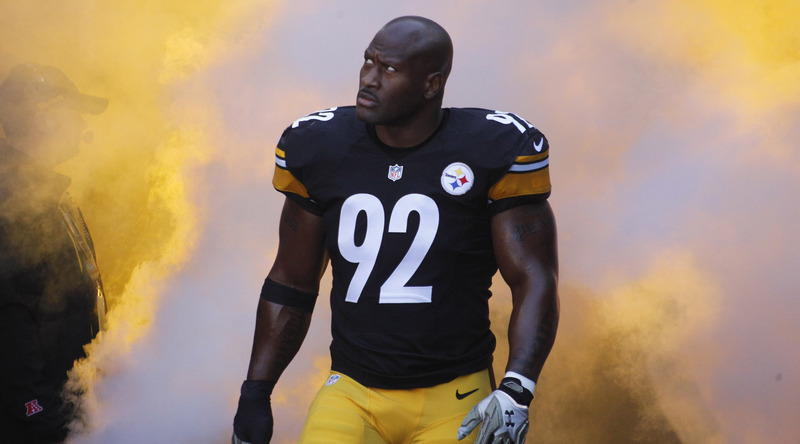 NO NEWS FLASH: Pittsburgh Steelers linebacker, James Harrison not considering retiring. Really? No! Tell us something that we didn’t already know. That the ‘Ageless Wonder’ believes that he still has a lot left in the tank. And by a lot left.. I mean that the 38 year old is playing like an undrafted demon possessed. And is someone opposing offensive linemen want nothing to do with. “I want to play this game and see where the playoffs lead us,” Harrison continued. “I’ll make the decision after that”. Decision all yours, Debo. As far as I am concerned, Harrison is still the defensive player of the year from 2008. Officially in my book..’The Best’ 38 year old player in not only franchise history, but in the history of the NFL. But that’s just me talking. Especially after being promoted to the right OLB starter midway through the season, leading the Steelers in sacks.. along with a total of 20 tackles over the past two games. FLASHBACK: Harrison got his very first career start 12 years ago against the Browns after then Steelers linebacker, Joey Porter was ejected due to a pre-game scuffle . He will now face Cleveland in his 14th season in the NFL.